This Silver & Black Signal model features a stylish two-tone design with a silver handle and black tools. 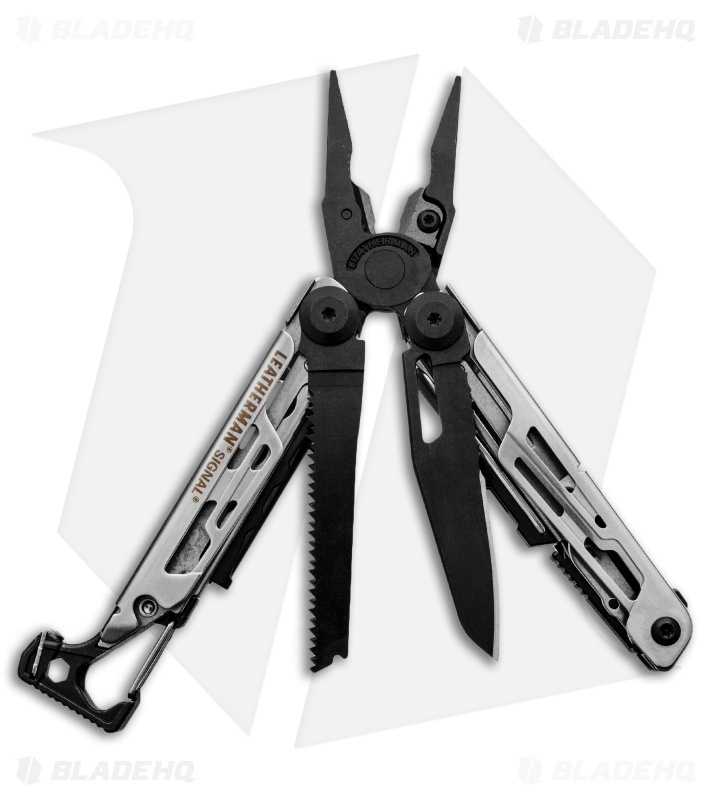 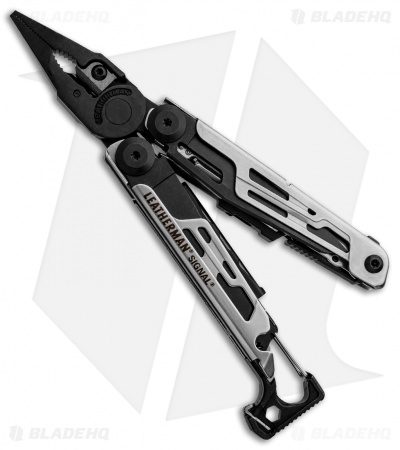 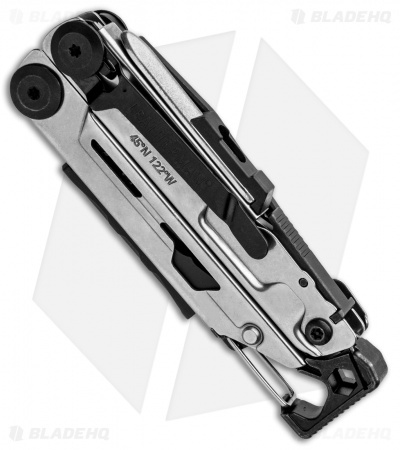 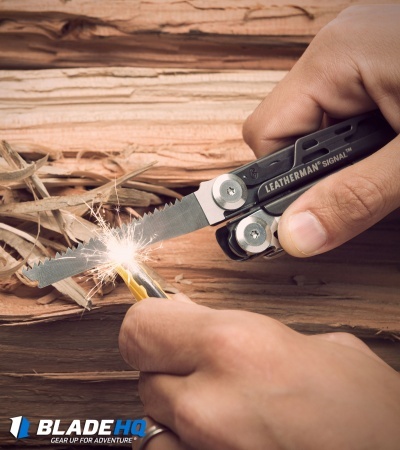 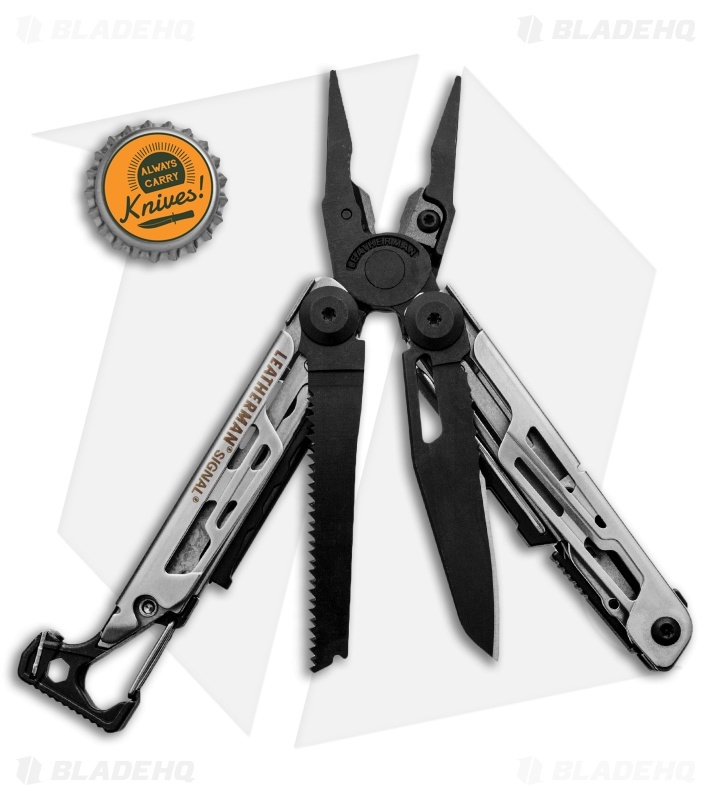 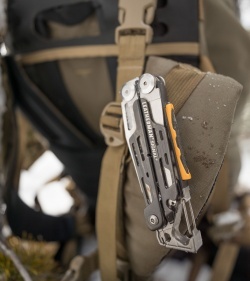 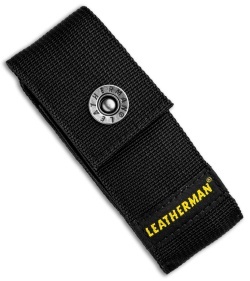 The Signal has several tradition Leatherman tools and adds key survival-oriented tools like a fire starter ferro rod, diamond sharpener, and safety whistle. It has an outside accessible, one-hand opening 420HC steel blade with a partially serrated edge. 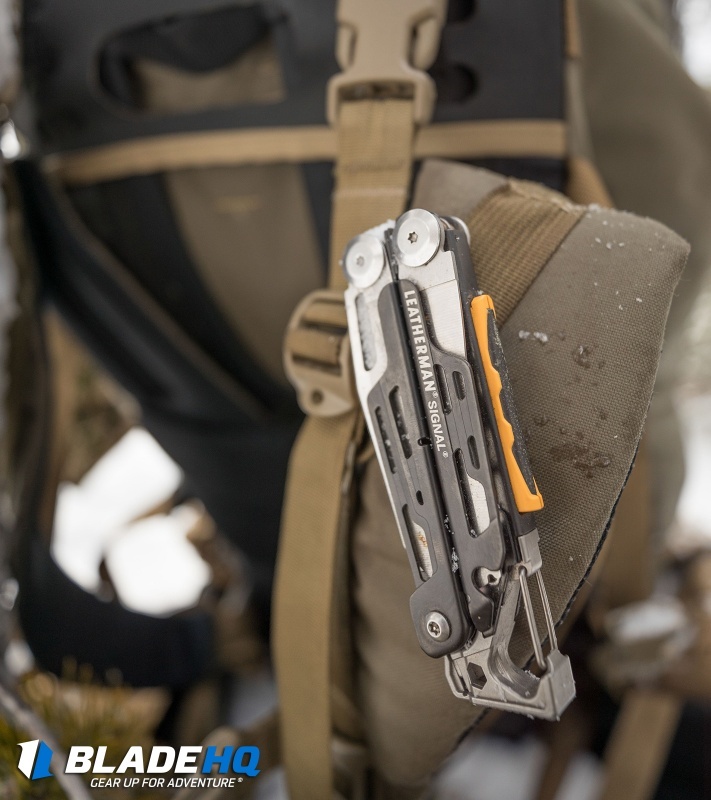 Both the blade and saw benefit from a liner lock tab. 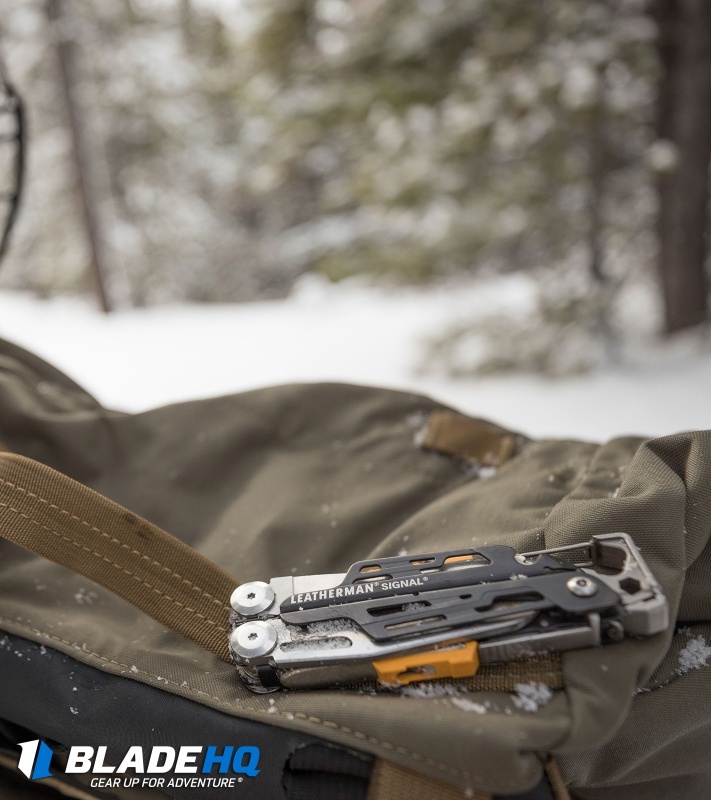 The Signal has a removable pocket clip and a simple slider to lock the handle in the closed position. 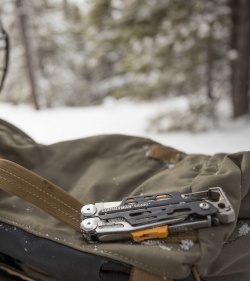 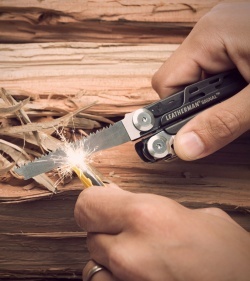 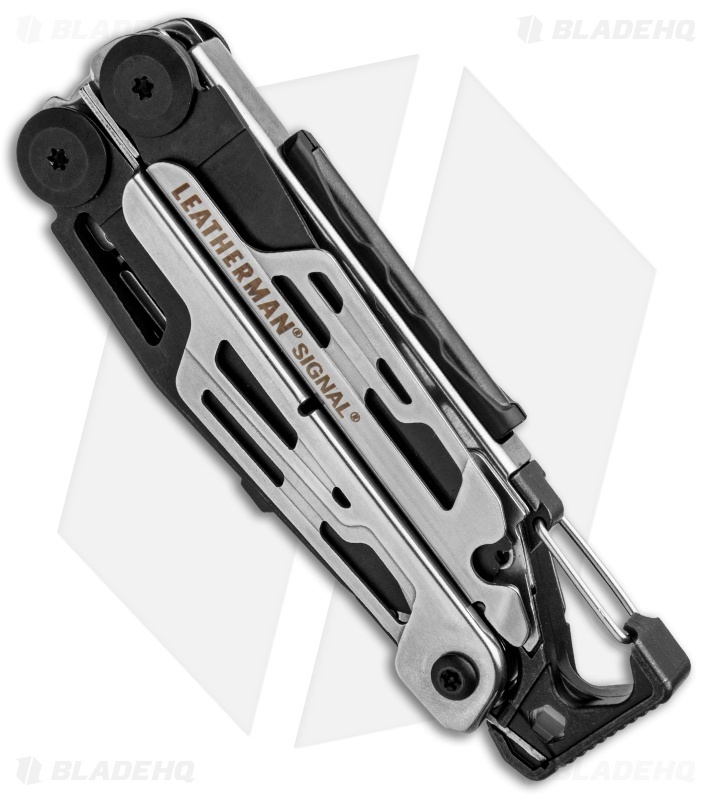 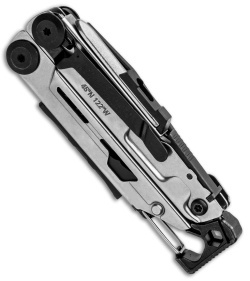 Innovative and stylish, Leatherman's Signal packs a lot of utility that outdoor adventurers and others will appreciate in a variety of environments.